At Gold Star Law, our goal as worker’s compensation attorneys is to ensure that all of our clients are armed with the information that they need. In today’s post, we’re going to cover the scope of the Worker’s Disability Compensation Act (WDCA) and, more importantly, what to do if you have suffered a work-related injury. Nearly all employment in Michigan is covered by the Worker’s Disability Compensation Act (WDCA). With a few exceptions, the basic test for determining if your employer is subject to the WDCA is the Numerical Test. If a private employer regularly employs three or more employees at a time, or employed one worker for 35 or more hours per week for 13 or more of the preceding 52 weeks, it is subject to the WDCA. Coverage under the WDCA means that worker’s compensation insurance is available to employees who suffer a work-related injury. This insurance can be used to pay for medical expenses and can also help compensate you for pay you miss because you are not working due to your injury. Since almost all Michigan employers are covered by the WDCA, almost all Michigan employees are entitled to worker’s compensation insurance to cover their medical bills and lost wages due to a work-related injury. Regardless of whether your employer is subject to the WDCA or not, you should always consult with an attorney at Gold Star Law before signing your claim away. Even if you think your employer is too small to be covered, or if you think your injury would not qualify, or if you are not sure if you need worker’s compensation insurance because your own medical insurance will cover everything, the best thing to do is to talk to an attorney first to learn what your options are before taking any action that could hurt a potential future claim. When you call Gold Star Law, our worker’s compensation attorneys can evaluate your claim and let you know what the best next steps are to maximize your potential recovery. 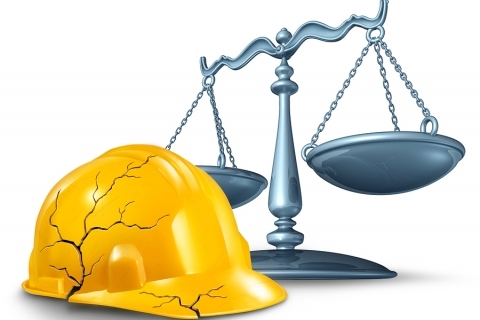 Call us today to find out if you have a valid worker’s compensation claim and what we can do to help.